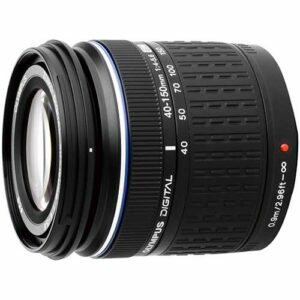 Lens Description: The Olympus 40-150mm f/4-5.6 Zuiko ED Zoom Lens is a compact and lightweight lens for Four Thirds System cameras, but especially useful for use on the ultra-compact E-400 camera. It offers a 3.8x telephoto zoom range, with an equivalent 35mm focal length of 80-300mm. 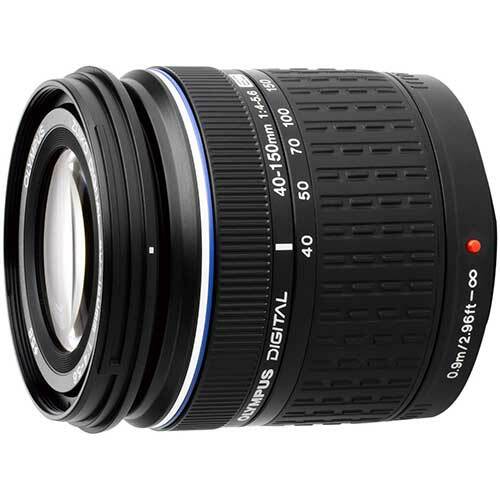 This makes it ideal as the add-on lens to the standard 14-42mm lens, perfect for portrait to sport shooting.